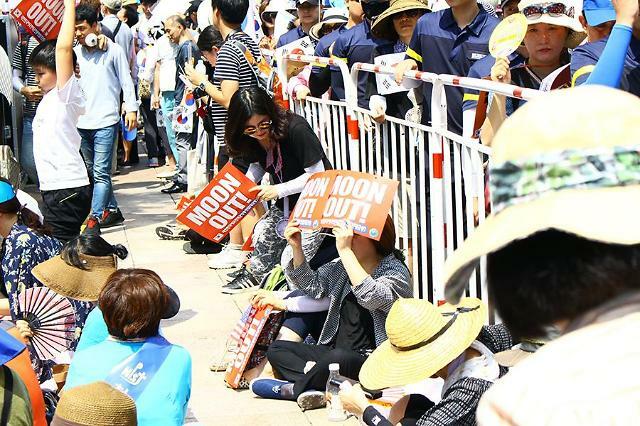 SEOUL -- Despite a record-breaking heat wave which has killed dozens of people, thousands of conservative activists led by some Christian groups held an anti-government rally Wednesday, denouncing a peace offensive by South Korean President Moon Jae-in towards North Korea. 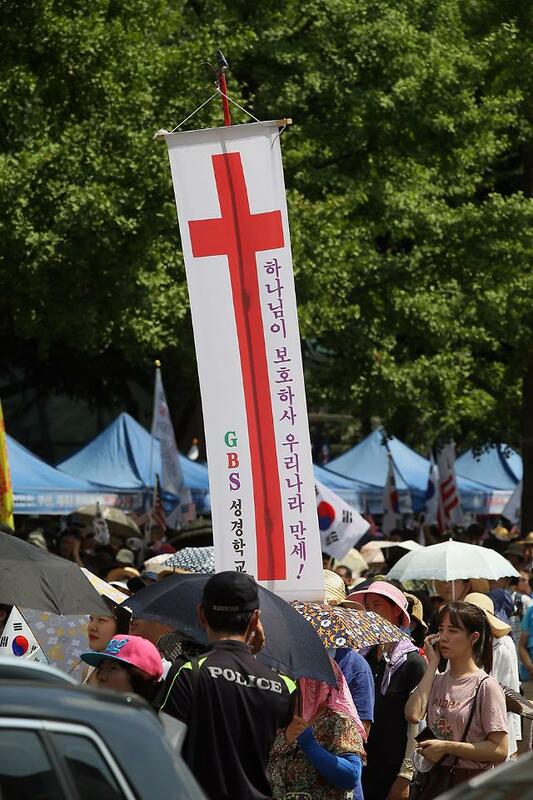 About 3,000 people, including many young and old members of various Christian groups, gathered at a public plaza in central Seoul, demanding Moon's resignation for colluding with North Korean leader Kim Jong-un. 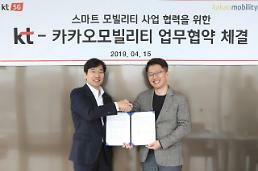 "To fight against communism and protect democracy, we must unite!" 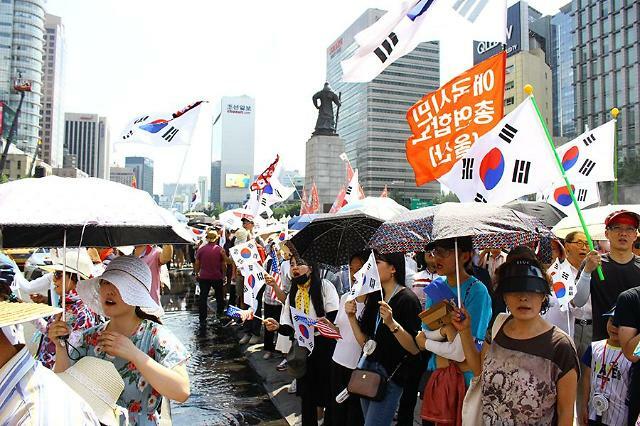 a rally leader said in his speech, arguing South Korea's jailed ex-president Park Geun-hye, who is on trial for her role in a massive corruption scandal, is innocent and must be freed. 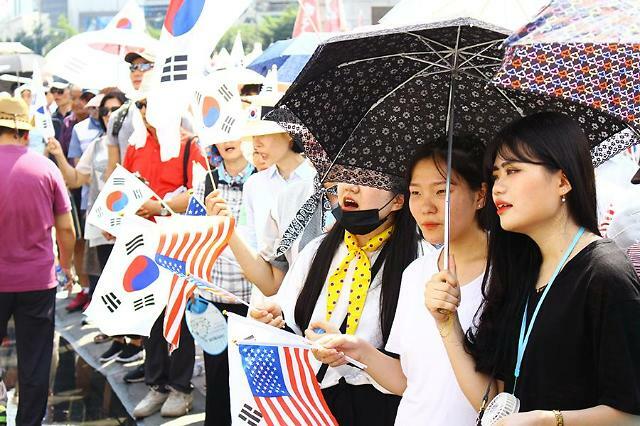 Many protestors enthusiastically waved South Korean and American flags or held up placards reading "Moon Out!" in English. In nearby areas, some protesters got engaged in fierce debate with young holidaymakers. 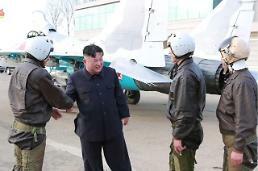 "We must get rid of evil from the Korean peninsula!" shouted one protester in his 60s. 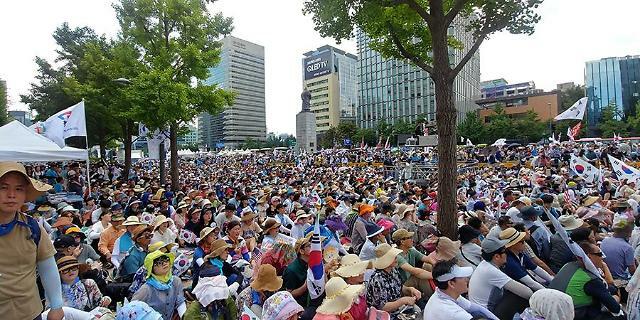 ​Similar rallies organized by conservative groups took place in other parts of Seoul on Wednesday to mark the liberation of Korea from Japan's 1910-45 colonial rule.